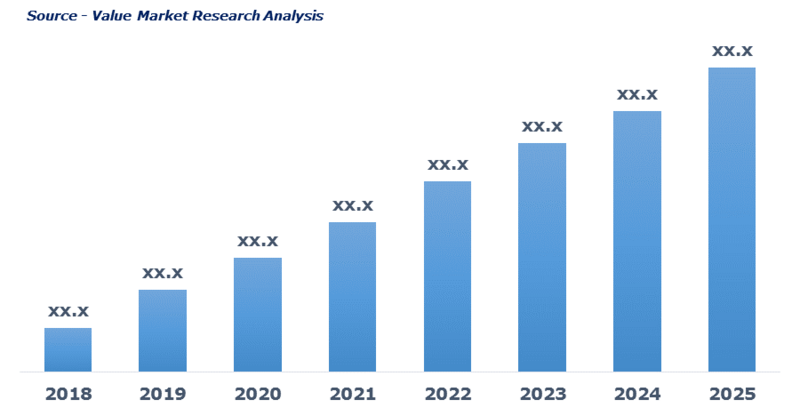 As per this study the Global HDPE Bottle Market was valued USD 12.6 BN (by revenue) in 2018 and is anticipated to reach USD 17.7 BN by 2025 with a CAGR of 5%. High-density polypropylene (HDPE) is a thermoplastic with high strength-to-density ratio. HDPE bottles are made up of HDPE polymer that offers mild stiffness, high impact resistance, better moisture barrier, and high durability. These bottles are extensively used for domestic purpose for storing juice, milk, laundry detergents, cleaners, shampoos, oils and other liquid products. Apart from this, it is also used across chemical, food and beverage, cosmetic and pharmaceutical industries.